We've been BUSY! We have been making soap like crazy lately. We have made lots of our handmade cold process soap in amazing holiday scents...some are ready now & a few are still curing. The seasonal scents that we now have available in our Etsy shop & on our website are: Gingerbread, Mistletoe, Snowflake, Frankincense & Myrrh and Pumpkin Spice! Yummy! We will be adding these holiday fragrances to our Zibbet & Trunkt shops this week. 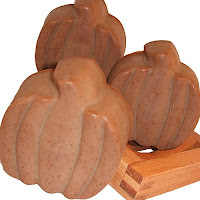 Our Autumn Spice Soap Leaves are back in stock as well! Look for Cranberry, Bayberry Spice, Candy Cane and more to be released as the soap becomes fully cured. Keep in mind that these are seasonal scents, so there are a limited quantity available. So....get them before they are sold out! We've also brought back a few soap favorites that our customers asked for: Black Pepper and Oatmeal Milk & Honey. And we finally have 2 sachets online that have been missing for too long: Almond Amaretto and Eucalyptus & Spearmint. Another new handmade soap scent now available is Jasmine. Other newbies to be released very soon: Lusty Musky Mornings Handmade Soap, Morning Mocha Handmade Soap, Rootbeer Float Lip Balm. We are SUPER excited to announce the release of our Cupcake Soap! These little cuties are sooooo adorable! 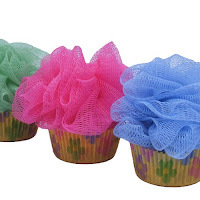 Our Cupcake Soap is 1.5-2.0 ounces of soap packaged in a colorful cupcake liner with a nylon body puff embedded into the soap. It is wrapped in cello and sealed with a ribbon bow. They will be available in different colors and scents. To use: peel off the liner paper & wet. Work lather into the puff & wash away! 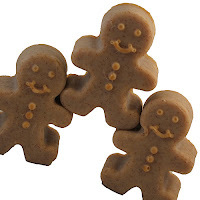 These make ADORABLE gifts or favors! Perfect for the cupcake lover you know...and NO calories! Check our Etsy shop for the newest releases. We have started to release other new items such as Roll-On Perfume Oils and Laundry Soap. Psst...here's a secret that we haven't released until now...we are going to be offering Sugar Scrub Cubes VERY soon! Check our Etsy shop for the newest releases. We will blog about these as they are more readily available. Other newbies: Pink Gift Box Set, Purple Gift Box Set, Nylon Puffs and Fragrance Samples. Phew...that was a lot to mention! We've been so busy making all these new goodies that we don't get to update the blog as often as we would like...thus the super long 'new product' announcement! As of right now, the Etsy shop gets the newest items listed first, so you can always keep up to date by checking what's new there! Concord Soap Company is being featured on the Women-Prenuer Galore Blog! Stop by and read the kind words Nathalie had to say about our products. We are also sponsoring a FREE SOAP giveaway on her blog. Follow her directions to get multiple chances to win. The giveaway ends September 5th at midnight...don't miss it! Every month we select a different fragrance to be featured in our Etsy Scent Sale. During the Scent Sale all of our items in the special scent are marked down 20%. This is ONLY in our Etsy shop. August's Scent Sale fragrance is Fields of Lavender! Don't miss out...there's only a few more days to get your favorite Fields of Lavender items at 20% off! We are working hard to get all of our fall/winter/holiday scents made & fully cured in time for the holidays! Some of the soap scents that we will be offering are: Pumpkin Spice, Black Pepper, Cranberry, Gingerbread, Oatmeal Milk & Honey, Mocha Latte, Bayberry Spice, Snowflake, Candy Cane, Musk and more! Look for our future email, blog & Twitter updates for availability. WE'RE FAMOUS! We've been selected to be the featured seller on Zibbet.com! Many of you have probably never even heard of Zibbet.com. What is it? Zibbet is a NEW global marketplace, connecting buyers and sellers of Handmade Goods, Fine Art, Vintage Items and Crafting Supplies. It is very similar to the more known, Etsy.com. 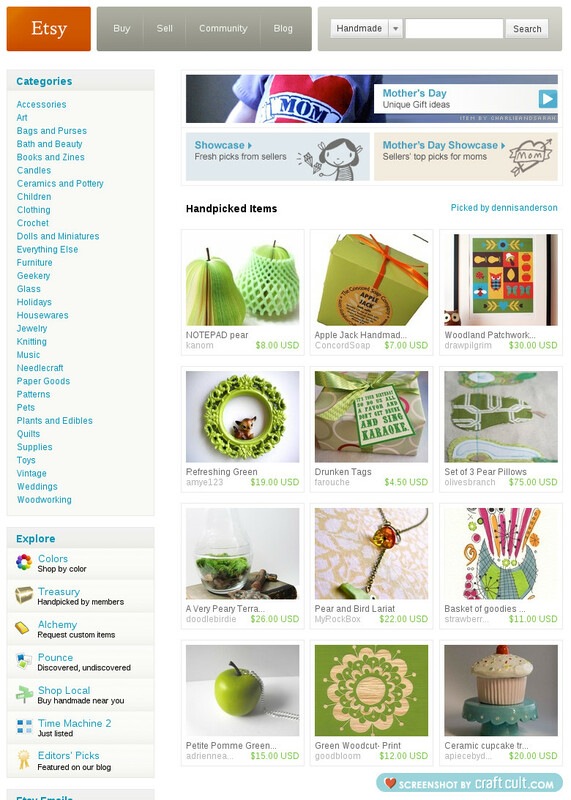 But, Zibbet is still in its infancy stages, while Etsy is all grown up! You can find all kinds of amazing handmade items on Zibbet, including jewelry, clothing, candles, accessories, furniture, housewares, paper goods, plants, wedding and of course, BATH and BODY! 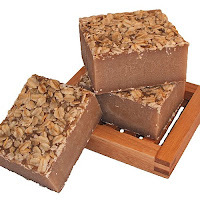 You can go directly to our shop by clicking here or typing in this address: http://www.zibbet.com/ConcordSoap! I'm not sure how long we will be "Featured Zibbeter" before another lucky shop gets picked. 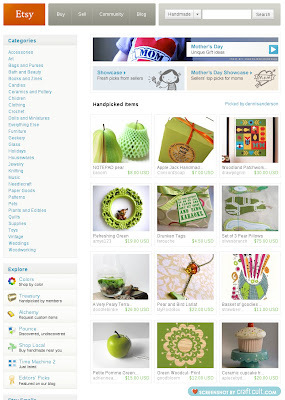 I'm guessing we'll only be on the Zibbet front page for a day or two, so go check it out! Don't miss us while we're famous for a day or two! If you miss us on the front page you can always read the article about Concord Soap on Zibbet's blog: http://www.zibbet.com/blog/category/featured-zibbeters. Read the article to learn more about Concord Soap Company! BEER Soap for Father's Day! Coming up with gift ideas for Father's Day can be a daunting task. We've come up with the perfect solution! BEER SOAP! What? Sounds crazy, you say? Check it out! And NO, it doesn't smell like beer. Cuz who would want to shower with beer...hmmmm...wait...maybe we shouldn't ask that! Seriously though, as fun an idea of making soap with beer is, there are *reasons* beer is awesome in soap. First of all, think of all that great lather! Hops, a major herbal ingredient in beer, has been long known for it's soothing, healing properties. It is full of amazing amino acids & is great for sensitive skin. We don't add any additional fragrance to this wonderful soap. 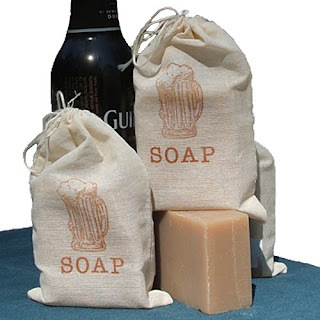 Our BEER SOAP substitutes Guinness beer for the majority of water that is normally used in our soap recipe. This very dark beer provides an amazing scent to this soap...it's just kinda hard to describe. It is a very warm, homey, rich smell. It is a perfect for Papa! We also have a BEER SOAP made with Corona! So, toss Dad a cold one...errr...a cold processed BEER SOAP, that is, and have a Happy Father's Day! And if you really want to edge out your siblings...buy him a whole 6 pack of BEER SOAP! We were FAMOUS...for a few minutes anyway! We were on Etsy's front page a few days ago! Did you see us? Didn't we look great! It was so exciting! That's our Apple Jack Bath Salt Box in the center of the top row!